AABSyS is a reliable vendor when it comes to AutoCAD outsourcing services, CAD design and 2D drafting services. AABSyS has positioned itself as a reliable vendor for AutoCAD outsourcing services, CAD design and drafting services for owner-builders, architects, engineers and contractors worldwide. The company offers a variety of 2D drafting and 3D drafting services for its customers. The areas in which it offers its services are architectural and structural CAD drafting, HVAC plans digitization, data capturing of electrical plans, 3d and 2d drafting of mechanical and electronic drawings. As a leading outsourcing company, AABSyS possesses optimized resources, highly experienced staff, and the experience to meet a variety of customer needs. 2D drafting and 3D drafting have caught on worldwide because of their many advantages over traditional hand drafting. Worldwide public sector and private sector undertakings do come-up with new requirements and have a great demand for digitization. Last couple of decades has seen various industries documenting the long-aged digital data in a much coordinated manner, and use them for efficient management of the respective countries. While many companies are moving to 3D modeling, many companies continue to use 2D drafting depending on their needs. AABSyS meets the needs of its customers both in 2D drafting and 3D drafting. AABSyS prefers technological platforms such as AutoCAD, other AutoDesk softwares, Microstation and other required softwares to satisfy the customer’s needs in a cost efficient manner. 3ds Max, ADT, Google Sktech-Up are the platforms used for the 3d modeling requirements in a larger scale. The upcoming 3d softwares do possess the capability to make use of the 2d designs to create the new 3d plans. 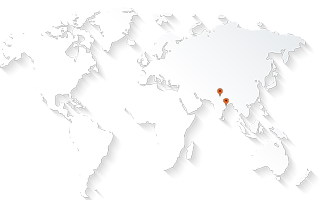 AABSyS is one of the preferred offshore CAD outsourcing vendors for customers outside India. It provides Auto Cad, GIS, web site design and programming services. It is based in Bhubaneswar, India.